Will My Dahlia's Ever Bloom?? So..the big question is..will the dahlia's get a chance to bloom?? Ohhh, it might just get there..! This is normally a late bloomer..but this late? sigh. every so slowly.....and frankly..it looks kinda crummy. 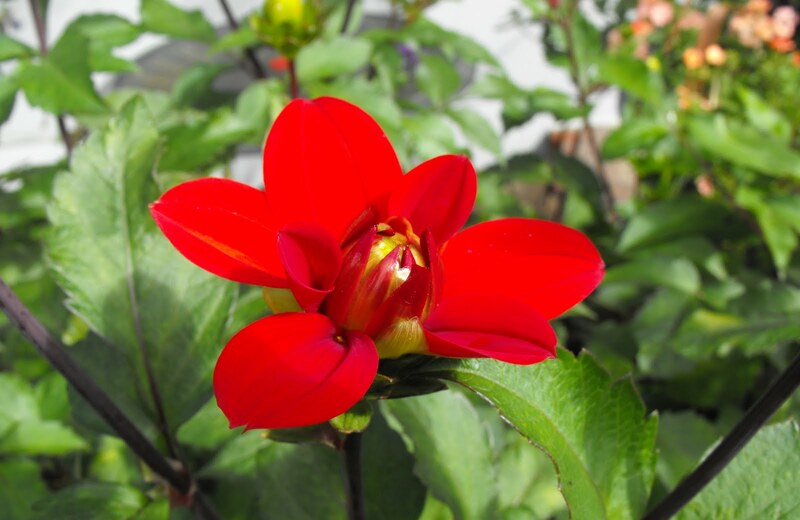 How are your dahlia's doing this season? Oh my! Cherry drop and Lindy are beautiful! You're right, the pinkish one is rather disappointing. 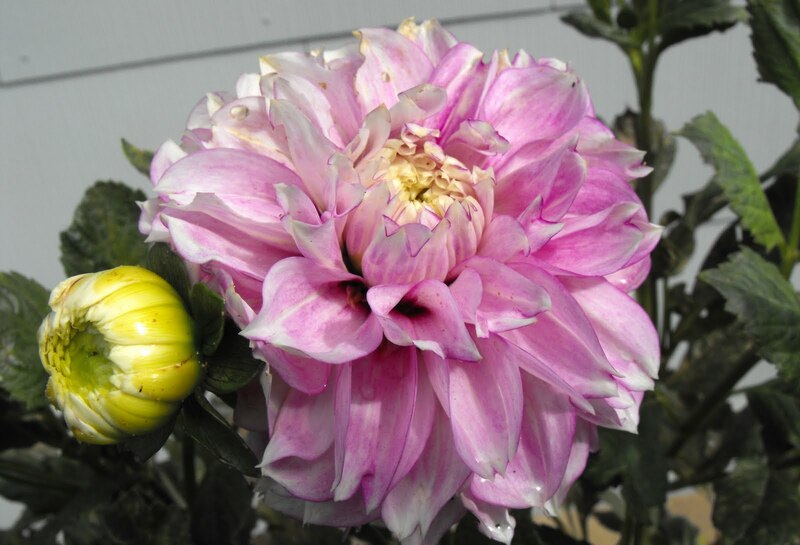 I think I've posted some of my seed-grown Dahlias on my Fertilizer Friday posts. I still have quite a few that are nowhere near blooming yet. I'm hoping they survive the winter in the ground. I am too lazy to dig them up. 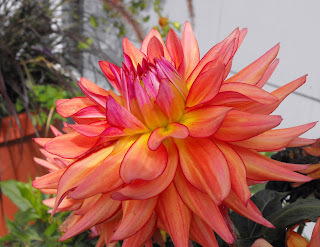 I think your Dahlias look great. At least they opened up. I have 3 buds on one Dahlia and that's it. Guess if it continues to rain I won't get to even see what color it is. And I dug mine up, still nothing came up. We lose them up here if we don't. Now I'm wondering what's the point? I can leave them in the ground and lose them without all the work of digging them up and storing them. We've had tons of rain here too, soggy and humid - yuck! Hi Ginny. Oh, that Cherry Drop dahlia is so bright and lovely. The Lindy has the pretty mix of pastels though. Gorgeous! Some years my dahlias do got and others not so much.Do not know why either. Hi Jenni, Dahlias? What dahlias? I have five plants. One [a miniature] bloomed early. Another on time. One just started and two are leaves only. I'm not sure if, in my case, the weather can be to blame. I think it's just bad gardening on my part. You live in Canby? I live in Albany. We'll have to meet sometime...maybe halfway like in Salem. 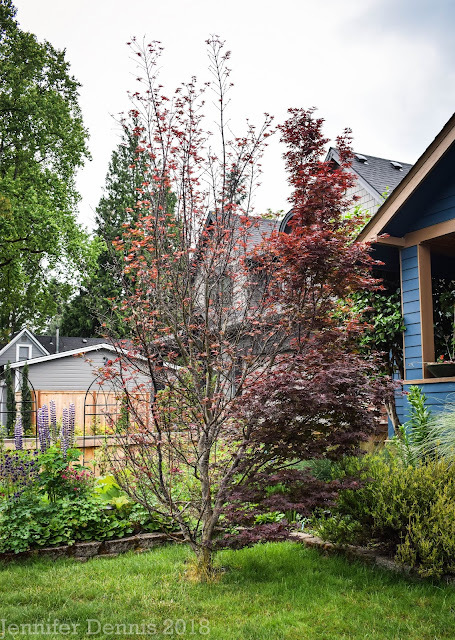 I just met Annie of Wow, That's a Busy Garden and did a post on her fabulous garden. She also lives in Albany. I met Loree of Danger Garden last summer. She's also and Oregonian. Fun! Is that fall in the air?